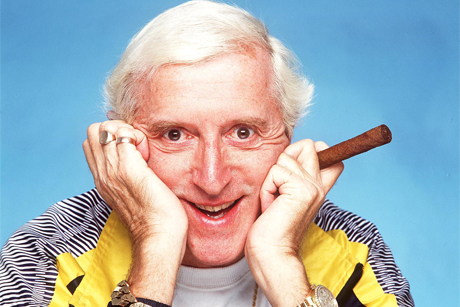 Accusations that Sir Jimmy Savile sexually abused young girls were raised in an ITV investigation and were heavily trailed in the media in the run-up to the broadcast. The BBC responded that it was helping the police with inquiries. As the story escalated and other celebrities were implicated, new director-general George Entwistle apologised to the alleged victims and promised a 'comprehensive investigation' following the police inquiries. This has been a shocking start to director-general George Entwistle's stewardship at the BBC. He was too slow to act and passing the buck to the police simply wasn't good enough. Both he and his comms team really fumbled the ball on this one. It has been one disaster after another. Newsnight bottled it, which casts doubts on its other investigative journalism capabilities. We are used to the BBC always denying it gets anything wrong and bitterly resisting retractions. Now we have seen that it is gutless. Heads should roll over this. This story, and all the subsequent filth that will emerge, has the capacity to put the phone-hacking investigations way down the pecking order. The BBC a bigger villain than nasty tabloid journalists? You couldn't make it up.